"Wake Up, Get Up, Get Out There"
As someone who doesn't play a lot of JRPGs, there's something special about the Persona series that gets me hooked. I'm more interested in how grounded, themes and issues these games bring compared to most of what the genre offers. In other words, I do like that it tackles issues similar to what we deal with in our real lives rather than end of world nonsense. Plus it oozes with style unlike any other game I seen. Persona 5 continues that approach for Atlus and the result is one of the best JRPGs in recent memory. It is a lengthy one as expected, but a journey worth seeing to it's end. 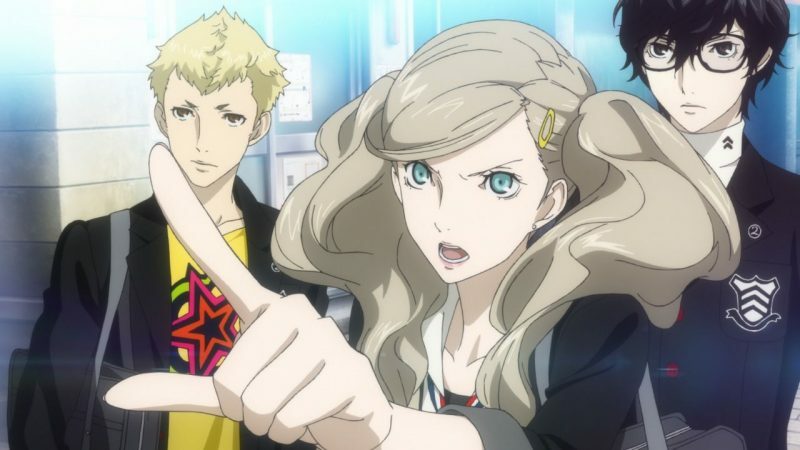 Persona 5 stars Japanese high school students trying to live normal lives while dealing with adults taking advantage of minors in an alternate world. The last game had characters going inside a TV to enter the world where Shadows hang at. This time our heroes use an app to gain access into the Metaverse to take down Shadow versions of adults abusing people in a variety of ways. I actually like how this game starts taking place when things don't go the protagonist Joker's way. The majority of the game is a flashback from the formation of the team to those events. Joker moves to Tokyo after legal troubles for a year of probation. However things get more adventurous for Joker and his team of Phantom Thieves. Along the way, you'll meet the rest of the party members each with their own struggles. 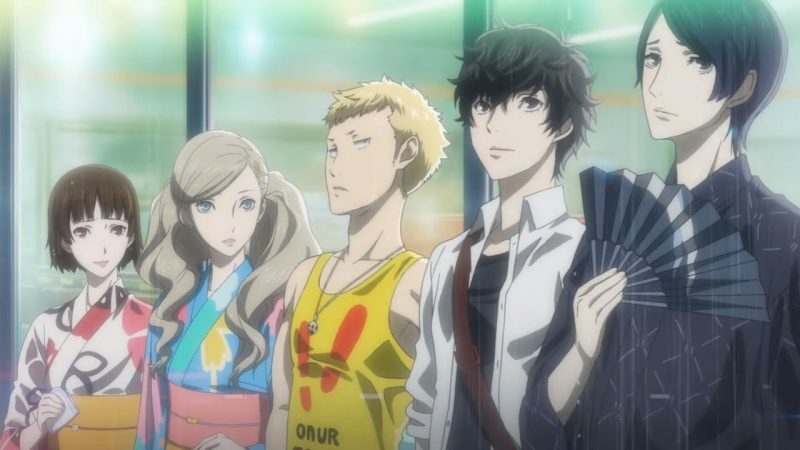 Pictured above alongside Joker are Ryuji, a douchey track athlete, and Ann, a teen model figuring out her future. Once they show signs of rebellion from adults in the Metaverse, their Personas get summoned for the first time. The main theme for these Phantom Thieves is to make change happen without waiting for adults. It resonates so well with real life today because there's a lot of us that share that same mentality. By stealing people's hearts, the team hopes to change the world giving others hope to make it happen for themselves. Persona 5 is basically about society as a whole with adults enforcing their role in today's reality. It's up to the younger generation to rebel about those above them and step up. Sounds similar to what's going in our world right? Besides developing relationships with your team in the real world, Joker tries balancing time between part-time jobs, recreational activities, studying for exams and meeting other confidants (Persona 5's version of social links). These non-party confidants have their own side stories the more you get to know them, so they're worth spending time in for both story and gameplay purposes. From an idol playing shogi, a weapons dealer to an underdog politician, some of them are hit and miss. The hits are surprisingly fascinating though. Daily life activities increase social stats such as knowledge, charm and kindness. Some confidants require a stat to be a certain point however to continue their progress (or even take some on a romantic direction), but at least they can be carried over to a new game plus file if you weren't able to max them out. 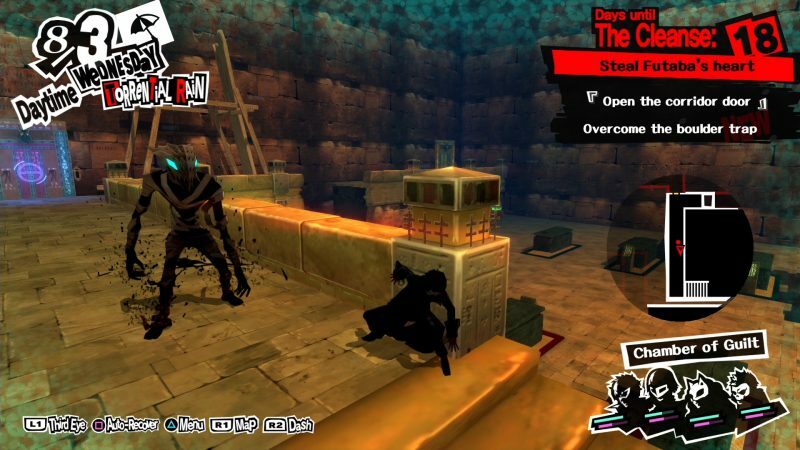 Persona 5's online features come in the form of the Thieves Guild. You can check what others have been handling their schedules like a guide. They give a good idea where you should be at in the game in terms of level and confidants. During school, it's also a cheat cheat to answer questions teachers randomly throw at you. Atlus has done something like this in Catherine, where they poll the audience which choices they made during specific moments. Now we see this similarly in today's adventure games where choice matters. It's nice to see this back for Persona 5 in a better fashion. 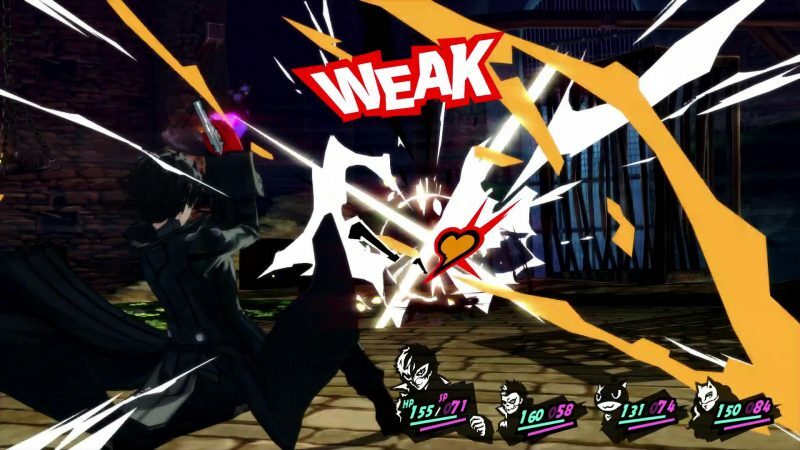 In the Metaverse, Persona 5 uses turn-based JRPG combat in unique ways. There's the simple "find an enemy's weakness" method that the game helps out a lot and also the interrogation part. The interrogation sequences after the team knocks down the opposition can lead to all out attacks for more damage. Additionally, persuading them can give you more money or items. More importantly, you can lead opposing Personas to join Joker's arsenal through this. Just like past Persona protagonists, Joker has the ability to use multiple Personas in battle. It's key to have a variety of them to deal with any situation. I also love the flow of combat in this game as you can plow through enemies with ease. Plus battles can be fought more methodically especially against bosses. The boss battles of course require more strategy along with management of party members, magic usage and items. The main dungeons in this sequel are called Palaces. Each of the targets the Phantom Thieves go after consist of their most cherished desires inside them. Their goal is capture their treasure to steal their heart. They also mix in stealth and puzzle mechanics as well. Stealth is more vital however because wrong movements can result in being ambushed by enemies. While these Palaces aren't playable after they're beaten, the more open-ended dungeons are back in the form of Mementos. Mementos is also where side missions can be beaten along with grinding for more Personas, XP, money and items. Then there's the return of the Velvet Room. Igor is back and his assistants will help out in Persona fusions for better ones and bringing back Personas you used in the past. You can easily spend hours here like I did managing Joker's squad of Personas. On normal difficulty, my playtime with Persona 5 was at 94 hours when I beaten it. Players can beat it between 80 to more than 100 hours. Easier difficulties make combat easier such as auto recovering health after each battle or restarting from the same battle you lost. I wasn't really in danger of losing because of that. However there's definitely battles where I was living on the edge of victory or defeat depending on the decisions I made. If the main character dies, the game is over and you usually have to start over from the last save point. At least for boss battles, you start that over if he dies there. With that in mind, there's lots of urgency to keep Joker alive at any cost for your teammates. This design decision by Atlus has been divisive especially that random one hit kill attacks can ruin someone's day. The game is available on both PS4 and PS3, but the differences between them aren't much visually. 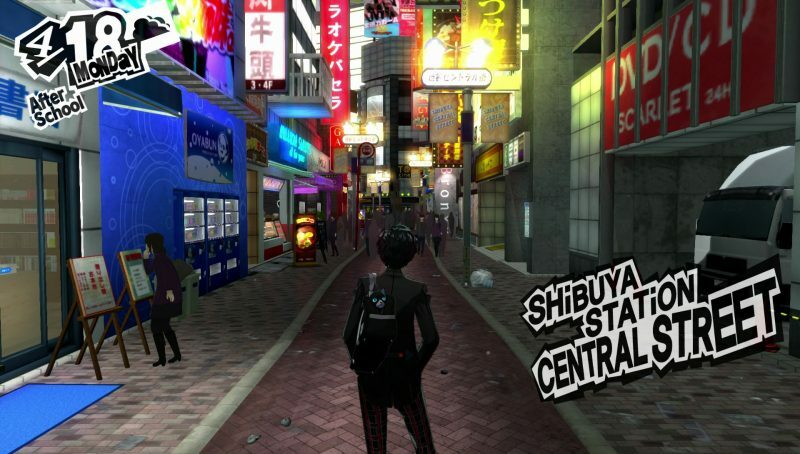 It maintains a graphical style used in past Atlus games that is very stylish along with mixing in anime cutscenes. Speaking of style, the menus are the best I seen in any JRPG and the Phantom Thieves execute their plans as cool as they can. Whenever I'm about to get the treasure from a palace, it's similar to pulling off some Ocean's Eleven-like heist. The soundtrack is also masterful as well with Shoji Meguro back at the helm with arguably his best work. I also enjoyed the English voice acting from Persona 5's cast and Japanese voices are also downloadable if you prefer those. While certain franchises are heading more action-based, sticking to tradition can still work. Persona 5 definitely sticks to tradition while making things more accessible for newcomers. The tutorials help out and it's easy to get accustomed to the combat mechanics even if they are still teaching new things a dozen hours in. The story is a great take sharing similar themes to current events with today's society. It does have it's crazy twists as you progress in ways you don't see coming. While you spend more time balancing out daily life activities, the turn-based combat is fun and stylish. Add that with a slick presentation and one of the best soundtracks in a while, Persona 5 is the best JRPG to play this console generation. If you're willing to commit to the 80-100 hour journey, this game of the year contender is worth experiencing all the way through.